Chemometrics proved to be pivotal in studies that showcased the potential of many omics approaches. I will offer an historical excursus of the development of the almost symbiotic relationship between chemometrics and the investigation of omics data and its deployment in systems biology. I will present some success stories while discussing limitations and bottlenecks of current approaches and possible solutions to overcome them. 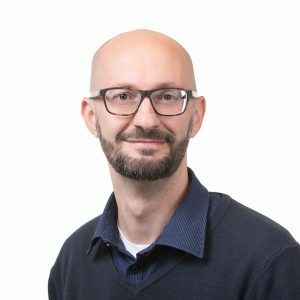 Edoardo Saccenti is researcher at the Wageningen University & Research within the Laboratory of Systems and Synthetic Biology. His research interests focus on the development and application of statistical and chemometrics methods in the context of system medicine, systems biology, metabolomics and bacterial genomics. His topics in methodology and theoretical research are i) Principal components analysis and related methods with a focus on the problem of dimensionality assessment and its relationships with inferential statistics in the frame of Random Matrix Theory; ii) power analysis and sample size determination in the context of PCA, PLS-DA and network inference; iii) development of new semantic tools for data exploration and integration. He is recipient of the Kowalski prize 2017 for best applied chemometrics paper. A personal note: I came to chemometrics through metabolomics during when PhD students and I am active in the filed for almost 15 years. My preferred method is definitely PCA for its universality and for being at the interface of chemometrics and statistics. In the future I see chemometrics to be integrated in the systems biology as a fundamental tool to investigate complex data. I am looking forward to SCC to discover new tools and applications or to rediscover exiting tools in a vibrant and inspiring networking atmosphere.